My trip to South Africa has begun, and I have been greeted by sunshine and smiling faces on arrival here in Cape Town, filling me with a sense of possibility and excitement. The trip is part an Art Connects Us grant from the British Council, that is aimed at developing connections between the UK and the creative sectors in Sub-Saharan Africa. To give myself what can only be a taste of the local architectural scene in this short period of time, I have arranged to see buildings and meet a few architects of different generations – from young students to the great masters. I will share as much as I can through this blog and on Instagram as I go (although I already a day behind!). These works and conversations will be approached in consideration of what it means to be generous – a quality that I believe should be central to architecture, especially at a time where social and economic inequality is rising across the world. This ‘research’ is approached without a fixed outcome in mind, instead I wish to pursue ideas and conversations to see where they take me, letting the material I gather and encounters I have help define the product. I have intentionally not overfilled my schedule and am trying to allow time for reflection and absorption, accepting that this will not be a comprehensive survey, but will hopefully give rise to a few meaningful connections. Where did I begin? Underlying almost everything I have done in recent years is a pursuit of a human architecture. This has often focused on a discussion about experience, because when lived, inhabited and occupied architecture becomes interwoven in our existence, having an impact on our emotions, psyches and bodies – or more generally to our well-being. I sought a word that would encapsulate my interests. I tried empathy (which I think has both possibilities and problems), and care (which is loaded but interests me because of its ties to the etymology of curating) and landed on generosity, as is a quality I greatly admire in people and is about an attitude as well a quality in architecture. Generosity to me is about listening and acceptance, about give and take, about a relationship of reciprocity and about partaking. A generous building carries these qualities and allows us to be who we are, allows and supports difference, encourages humility and generosity in its occupants. Generosity also raises questions about the relationship between a benefactor and recipient, of the role of the architect and of the client, of the individual and society. Does a generous attitude of creators of buildings result in a generous building? What are the forces at play that might prohibit a building from fulfilling its potential to be generous? I hope that by involving others in the discussion I can help give greater definition to what might constitute generosity in architecture and how it might be achieved. The UK Pavilion – nicknamed ‘Dandelion’ by the Chinese people – was designed by Thomas Heatherwick. Over the 6 month period of the Expo it was visited by almost 8m people, winning the Expo’s Gold Medal for design and the RIBA’s Lubetkin Prize. 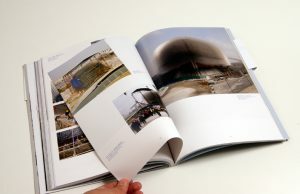 Written by Kate Goodwin, Drue Heinz Curator of Architecture at the Royal Academy, the book shows the development from competition stage to finished pavilion, uncovering the roots of Thomas Heatherwick’s idea. 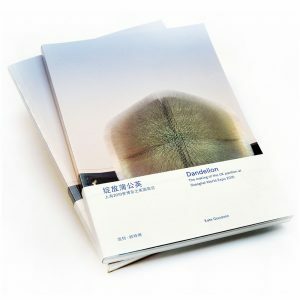 The book is written in English and Mandarin.